Danica Patrick performs dressed as a showgirl from the "Jubilee!" show as she co-hosts the American Country Awards 2013 at the Mandalay Bay Events Center. 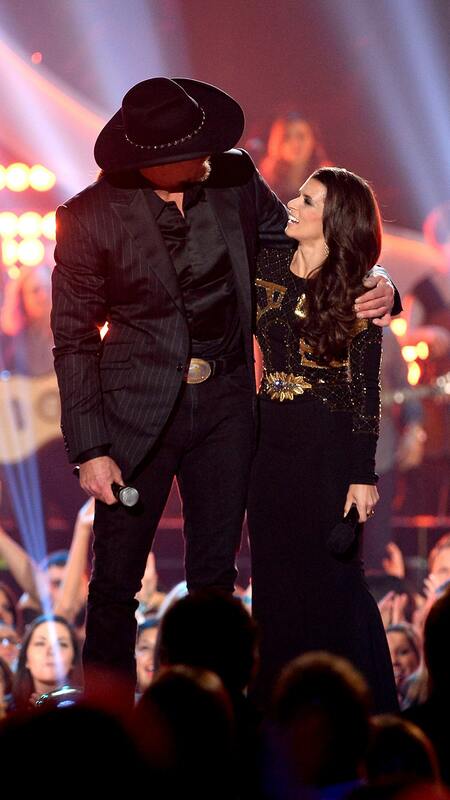 In case you missed it … Danica Patrick co-hosted the American Country Awards last night with Trace Adkins. She also showed that, hey, she does have a sense of humor (you know what we’re talking about). Danica Patrick as a showgirl. Yes, blink, look again. You really saw that! She even made a joke referencing the unlikelyhood of a ‘wardrobe malfunction‘. Trace Adkins made an appearance in Danica’s GoDaddy firesuit. We’re sure it required a few alterations to fit. Ricky Stenhouse accompanied Danica on the red carpet and then watched intently from the audience. We wonder what he thought about her showgirl getup? We also saw Danica channel her inner country girl with this dress. We’re glad Ricky has brought out the G-R-I-T-S (aka Girl Raised In The South) that was deep down inside the whole time. 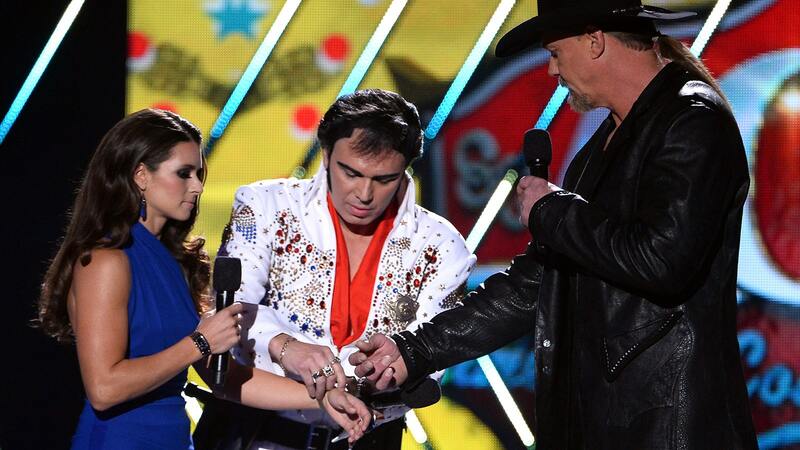 Finally, Danica and Trace were handcuffed and escorted off stage by an Elvis Presley impersonator. Only in Vegas. If you were watching, what grade would you give Danica as co-host?